At Social Mingles, we know that many people find dating to be a challenging experience and we aim to change that. We want you to find dating to be rewarding, exciting and beneficial for all. We want all of our singles to meet potential partners, and find the experience to be value for money and time. Are you looking for a wonderful partner to brighten up your life? Are you scared or nervous about meeting new people? Are you over pubs and clubs that are busy and noisy? Our singles parties and social events are designed to give you the confidence to meet new people in a comfortable environment. They give you the control to meet quality people, while being yourself. There is no need to be fearful of rejection when you are put in contact with the right people in the right environment. Singles parties and social events can be a great way to meet new people who want exactly the same thing as you, a quality relationship that is loving, fun and perfect for everyone involved. 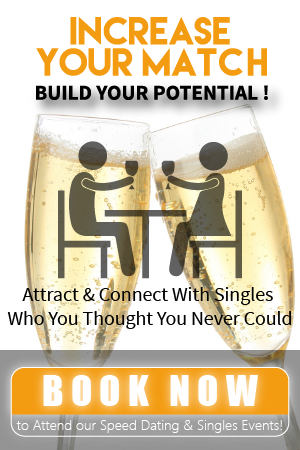 Find the ideal partner for you! Enjoy the entire dating experience. Welcome to Social Mingles singles parties and social events. If you are finding that your weekends are filled with isolation and loneliness, we want to change that. We want to get you out of your home and your comfort zone, and introduce you to people who could change your life. Are you over the pub and club environment? At Social Mingles we understand how awkward these places can be. There is so much pressure to meet new people, but it is too noisy to chat properly, many people are drunk, and the right people for you aren’t always in the same place as you are. Many of our singles find it difficult to start up a conversation, even if they do meet someone out in public. They have a fear of rejection, or think the other person will not be interested in talking to them. This is never the case at Social Mingles singles parties and social events. We will give you the confidence to chat the night way, and talk to people who you may never have been introduced to otherwise. At Social Mingles our events and parties help take away that burdensome feeling of meeting someone and guide the interaction along to help you build that emotional connection with someone special. We host a range of event based activities which will get you involved with the people in your group, in an environment that is supportive of everyone’s needs. Dare to dream, dare to live, dare to have fun and get out of your comfort zone. Check out our events and parties, and find one that interests you. Click here for our upcoming events calendar!